Over the years, we’ve seen some major transformations in healthcare design trends. Architects and interior designers often come to us in search of flooring accessories that fit these trends, while still meeting the medical industry’s standards for safety and sanitation. Here are the three latest trends we’ve seen in the industry, along with the flooring accessories you can specify to stay on top of them. 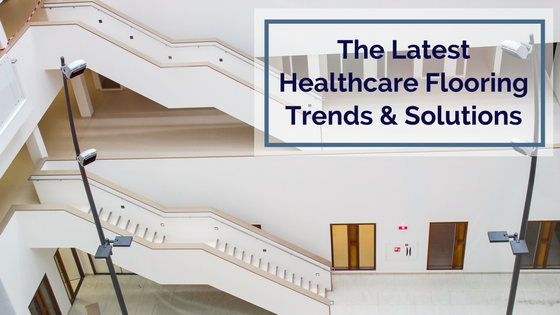 The first trend we’ve noticed is a focus on shifting patient care areas from being cold and sterile looking, to becoming more homey and welcoming. There are several ways you can create a more comforting space for patients. First, you can choose flooring accessories that are a bit more upscale and design-forward than the standard PVC that’s been used in years past. Two of our favorite flooring accessories that give a more homey look include the Gradus line of Stratum cove base and low-to-the-ground t-caps for transitions. Gradus’ Stratum skirting has all of the benefits of PVC - durable, low maintenance, etc. - without the institutional look. With its matte finish, it has the look of painted wood, but without wood’s porous properties that can be detrimental in a healthcare setting. It’s also scratch and stain resistant, making it ideal for hospitals or assisted living facilities with heavy wheelchair, cart, or gurney traffic. T-caps can also give treatment areas a more homey feel than traditional transition strips since they aren’t as wide or visible. An added bonus is that they are less expensive than transition strips, running as low as $3/foot. It’s an affordable solution, especially now that many hospitals are facing shrinking design budgets. Slips and falls are a major issue in healthcare settings, and architects and interior designers are always looking for ways to reduce the number of accidents for patients and visitors. One of the most hazardous areas in a healthcare facility is in the patient bathrooms where water can easily splash out of the shower. Most hospitals we’ve seen are using flat metal transitions between the shower and the rest of the bathroom, which is a completely ineffective solution. Instead, specify a wetroom transition strip, like one of these options from Gradus. These profiles are made of a PVC that helps keep water inside of the shower instead of outside on the floor. These transitions are not completely flat, but lay very low to the ground and are easy for patients to step or roll over. While many hospitals don’t yet have these, wetroom transition strips can be key to preventing serious slips and falls and are the way of the future. The increased focus on earth-friendly, sustainable buildings extends across all industries, and healthcare is no exception. 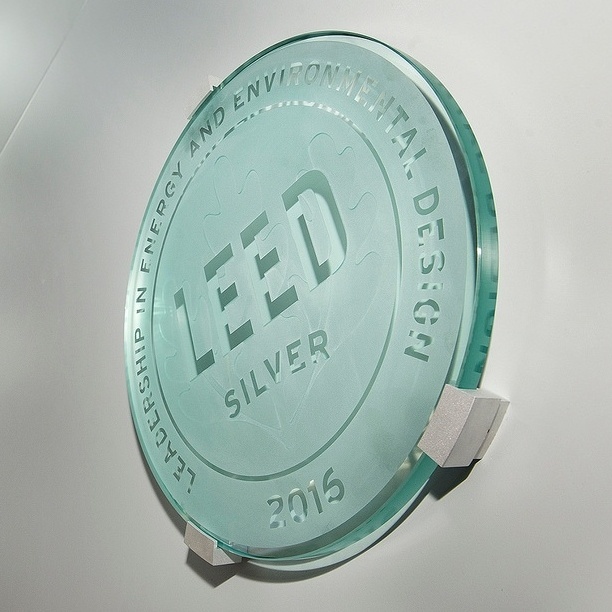 Many new hospitals are seeking LEED certification, which can actually be a draw for patients. Of course, you’ll want to specify green flooring materials, like those that are made from recycled materials or locally sourced. But, have you thought about using green installation methods, too? Generally, dry adhesive systems are a more earth-friendly option that the wet glues that have traditionally been used to install flooring and flooring accessories. If you’re installing carpet in a doctor’s office or assisted living facility, we recommend Lok-LiftⓇ, a pressure-sensitive dry adhesive. It’s used to install carpet over clean, dry, and secure flooring surfaces, like concrete, wood, or other carpet. Lok-LiftⓇ is a green choice that is an especially good option for carpet installations in healthcare facilities because of its very low VOCs, so you won’t have to worry about patients inhaling the toxic fumes or the dioxins associated with wet glues. Installing with Lok-LiftⓇ will also help you complete your project more quickly because it doesn’t require any curing time or off-gassing period (the time required to allow the hazardous VOCs to vent, typically 72 hours). 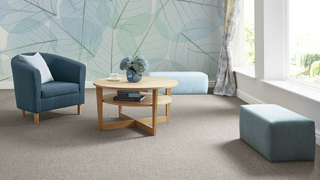 In fact, the added pressure from immediate foot or wheelchair traffic will actually strengthen the bond between the carpet and the floor surface beneath.